I had the distinct pleasure to speak to Mr. Neal Whitten, one of my great Project Management teachers. Few years ago, I attended Neal’s popular and outstanding seminar “Neal Whitten’s No-Nonsense Advice for Successful Projects” and read his two popular books: Neal Whitten’s No-Nonsense Advice for Successful Projects and Neal Whitten’s Let’s Talk! More No-Nonsense Advice for Project Success (both from Management Concepts). The ideas I took away from Neal’s seminar and his two books had the greatest impact on how I managed my projects. His leadership principles completely changed the way I saw my role as a PM and as a leader and how I related to my project teams and stakeholders. If you have the opportunity, I encourage you to read Neal’s books and attend his seminar. See links below. Neal Whitten is a popular speaker, trainer, consultant, mentor and best-selling author in the areas of leadership and soft skills, project management and employee development. He has over 35 years of front-line leadership, project management and human resource experience. In his 23 years at IBM, Neal held both project leader and management positions. He managed the development of numerous software products, including operating systems, business and telecommunications applications, and special-purpose programs and tools. For three years, he also managed and was responsible for providing independent assessments on dozens of projects for an Assurance group. Neal is president of The Neal Whitten Group, created shortly after leaving IBM in 1993. Practice the mindset that it’s not about the ability of those around you to lead; it’s about your ability to lead, regardless of that which is happening around you. Define your roles and responsibilities and obtain agreement from your boss. Routinely practice boldness to be a consistently effective leader. Treat all project members equally, whether they are clients, vendors, contractors or company employees. Inspect what you expect. Don’t “trust” that things are progressing smoothly or will work out okay on their own. Plan it, measure it and, if necessary, mitigate it. Escalate issues that are an apparent impasse; escalations are a healthy and essential part of business. Develop a “backbone”; the No. 1 reason why leaders fail is that they are too soft. Demonstrate integrity: It’s not about being liked; it’s about doing the right thing. Mind your own business first. Behave as if you own the business and your business is defined by your domain of responsibility. Seek out a mentor. There is no better way to learn a craft than through a mentor. Adopt the benevolent dictatorship leadership style; it is far more effective than alternative styles such as consensus, democratic or micromanaging. Manage daily to your top three priorities; they define your contributions, your value …your overall success. Perform these three actions: (1) Culture training class at the start of new projects; (2) post-project reviews; and (3) ensure that the resulting lessons are applied forward. Believe that you can make a difference …and you will. You are what you perceive yourself to be; your vision of yourself becomes your reality. Neal is a frequent presenter and keynote speaker at conferences, seminars, workshops, and special events. He has developed and instructed dozens of leadership, project management and personal development classes, and presented to many thousands of people from across hundreds of companies, institutions and public organizations. He has written over 80 articles for professional magazines and is a contributing editor of PMI’s PM Network® magazine and has been so for over ten years. Neal is the author of six books, including: Neal Whitten’s Let’s Talk! More No-Nonsense Advice for Project Success (Management Concepts); Neal Whitten’s No-Nonsense Advice for Successful Projects (Management Concepts); The EnterPrize Organization: Organizing Software Projects for Accountability and Success(Project Management Institute); Managing Software Development Projects: Formula for Success, Second Edition (John Wiley & Sons); and Becoming an Indispensable Employee in a Disposable World (Prentice Hall). Neal is a member of PMI and has been a certified Project Management Professional (PMP) since 1992. He can be reached at The Neal Whitten Group, P.O. Box 1030, Jasper, GA 30143; 706-692-3910; fax: 706-692-3913; email: neal@nealwhittengroup.com; website: www.nealwhittengroup.com. Great post. I have really enjoyed the interview section. I have discovered many new things about powerful leadership principles. In this article, powerful leadership principles are defined in easy & clear way. I think powerful leadership can be achieved by knowing project management clearly. 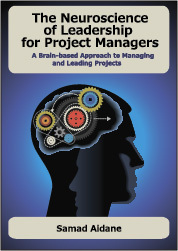 A project manager can manage his project successfully by using his great ideas about Project Management. Thanks to the writer for his wonderful post. Jenifer, thank you for listening and commenting.